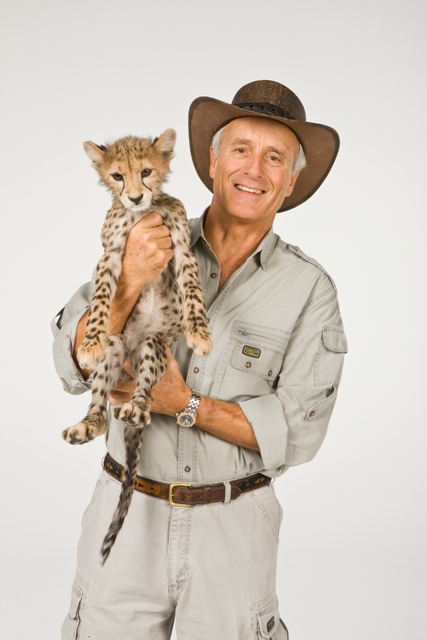 Jack Hanna with one of his wildlife friends (Courtesy NWF)Next week Hollywood will be visited by a different kind of celebrity, as legendary wildlife expert Jack Hanna will be bringing his stars of the animal kingdom to the National Wildlife Federation’s Voices for Wildlife 75th Anniversary Gala on June 15 at the Beverly Wilshire Hotel. Guests young and old will get a chance to meet Hanna’s famous animal friends, many which represent endangered species and wildlife impacted in Coastal Louisiana and the Gulf. Those scheduled to appear include a gray wolf and alligator, along with a California desert tortoise, bald eagle and many other species found throughout North America. The celebration also honors wildlife heroes such as award-winning journalist and CNN anchor Anderson Cooper, actress and advocate Alyssa Milano, Academy Award winning film producer Lawrence Bender (producer An Inconvenient Truth, Inglourious Basterds), and acclaimed nature photographer and Chairman of Oakwood Worldwide, Howard Ruby. Seats are limited, but reservations can still be made for this family-friendly event, which also includes cocktails, dinner, an awards ceremony, and a special musical performance. Proceeds from the celebration—generously supported by the Grace Cooper Harrison Trust—will benefit the National Wildlife Federation’s education and conservation programs in California. For reservations or more information, visit Voices for Wildlife.